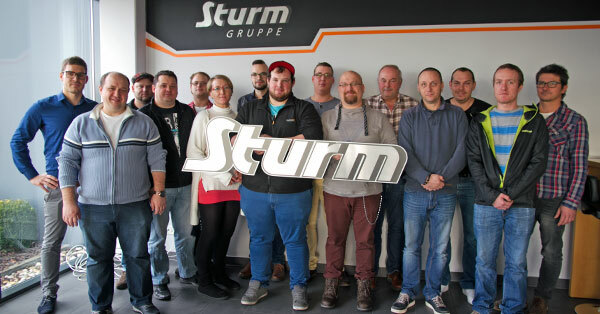 Thirteen students from the Eckert schools in Regenstauf who are currently retraining as quality specialists visited Sturm Gruppe on Tuesday morning. Alois Fuchs, quality management representative, gave them an insight into the specialist areas of the owner-managed company and then a tour of the site, focusing mainly on the quality assurance department. “Since the students are about to complete their three-month work experience, the visit will help them choose the company they want to work for. One student told me earlier that he was interested in working for the Sturm Gruppe. The visit was very enlightening for everyone,” said the class teacher, Rudolf Hackl.